Well, if you didn't like Deception on Sable Hill I can't guarantee this one will suit you any better, but I did enjoy Whispers In the Reading Room more than the former. I would say that Gray is in her element with the genre she's exploring. Quaint, quiet, self-assured librarian Lydia meets soft-hearted, wealthy club owner Sebastian, resulting in a broken engagement with her abusive fiancé, the acquiring of quite a few new acquaintances, and an ominous murder charge that threatens to upend everything. And all of this because she admired him in his dedication to come to the library where she worked, sharing in her love of books. He's sullen and mysterious, and attracts far too much attention for his own good - attention in the form of fear and intimidation - and with the nature of his business and the scars he carries from his childhood, trust becomes a difficult thing to discern. Lydia is headstrong, independent, and resolved. Her financial situation being as it is, she can get by just well enough by pawning off most of her household possessions, although with her mother breathing down her neck and striving for more costly living standards, she cannot deny that it is a struggle. Only, will the curious existence of Sebastian Marks alleviate her situation or make things all the more complicated? 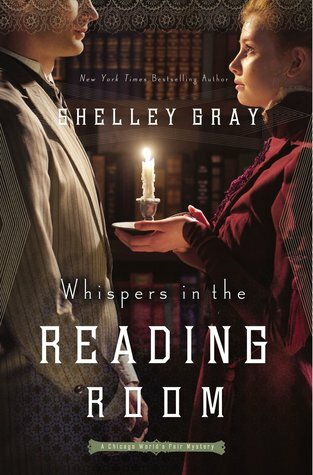 For more in formation on Whispers in the Reading Room by Shelley Gray, visit our website here. The cover attracted me. The title intrigued me. The preview on the back and the short synopsis in the front did neither, so I returned to judging a book by its cover and read it anyways. Let's just say that the first chapter made up for all of that. Evangeline Denmark has a rich and vivid imagination and she's been extraordinarily careful to write it all out in an engaging and capturing way. She embraces the steampunk subgenre of fiction, adding with it elements of dystopia and fantasy. Her words weave a complex world of horrible hierarchy, chemical alchemy, Chemists, Defenders, porcies, tocks, and all manner of steam-powered machines. Curio begins in a city called Mercury, where the people are dependent on a Chemist potion for them to be able to digest any food; where restrictions are high, rules are severe, and the punishment for any broken law is ever more so. Every citizen battles with the struggle of conformity and submission to a cruel desire for power. And not even halfway through, our headstrong protagonist, Grey Haward, is thrown out of Mercury and into the strange realm of Curio City - run by machines, for machines, with only one other human in existence besides Grey herself. Evangeline makes Grey's world of starvation and punishment look so much cozier than their strange realm. This book is perfect for your angsty teenager (which I can no longer claim to be, as of today) who loves a rush of adrenaline in the form of insurgents and self-sacrifice. Evangeline even throws in some sequences to satiate the romantics (this, I fear, is something I may never be free of, regardless of my number of birthdays). She spits out thrill rides and adrenaline on every page and her characters make you want to swoon, giggle, and tear your hair out all at once. Her energy is refreshing. 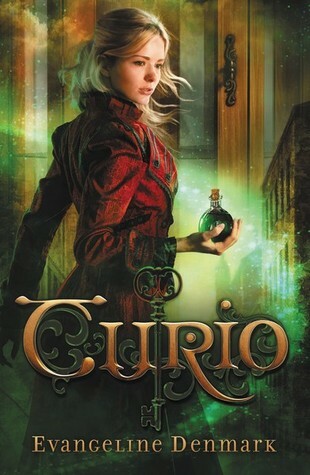 For more information on Curio by Evangeline Denmark, visit our website here. I am not as familiar with the books written by the Brontë sisters as I would like to be, but Jane Austen is a quiet friend of mine, and someone who enjoys classics like hers and those of the Brontë sisters would enjoy The Brontë Plot. 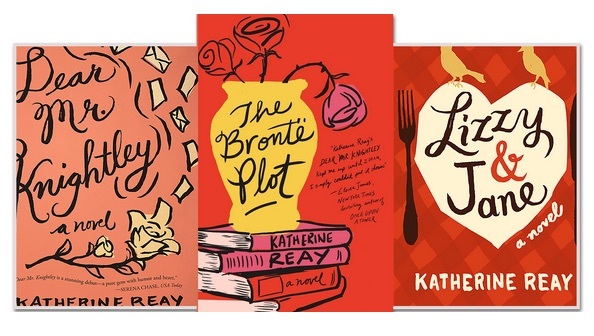 Katherine Reay professes a not-so-gentle enthusiasm for classic literature, poetry, and prose. Her main character, Lucy Alling, is a young woman with a penchant for antiques and the value of words. She works in a gallery, handling most of the book comings and goings, as an employee to Sid - a kindhearted man with an eye for interior decoration. This story is less about romance and more about finding yourself. Less about nonsensical daydreams and more about the sometimes bleak state of reality. It's not as dark as all that, and the romance is there, and the adventure, and the newness, but there is something more real about the way that Reay writes. More true to life. It's not full of action and excitement or even suspense - I would classify it as more curious. It's a curious book with a curious story, and we all know how enticing curiosity can be. Lucy Alling travels to London and the favourite haunts of the Brontë sisters, in the company of her first client through Sid's business - her first client solely under her charge. Travel nuts. Literary nuts. This book seems to cater to those quiet loves of the heart. Satisfies them. Provokes a longing to read Pride & Prejudice all over again. Or even more suitable, Wuthering Heights by Emily Brontë. I just finished it, and coincidentally stumbled across a copy of The Tenant of Wildfell Hall by her sister, Anne. Something about Reay's enthusiasm for the classics makes this book a delightful read. 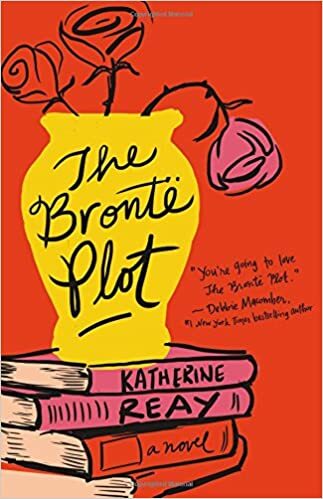 For more information on The Brontë Plot by Katherine Reay, visit our website here. Being nothing more or less than what is specified. A big selling point here is, yes, the new covers that have just come out for all of C.S. Lewis' signature classics - Mere Christianity, The Screwtape Letters, The Problem of Pain, The Great Divorce, A Grief Observed, and Miracles. 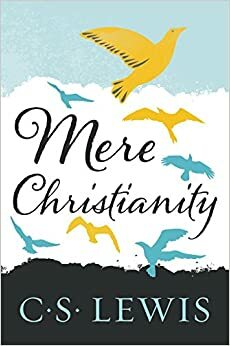 I had a lot of fun waiting for each new cover to come into the store, and I'll be honest, I only started collecting these books when I first saw this cover for Mere Christianity. But then I started to read, and dear Lord, I am overwhelmed. After the first chapter alone. I know I'm behind the times and so many people have read this already, but there are sure to be others like me who have missed out on this excellence. He is so gentle with his words. And so logical - which the human brain finds so appealing. So logical and so wonderful, and so precisely written, that I am breathless and desperate for more. If you're like me, and your doubts are sometimes such a problem - even though you know what you believe, but not necessarily why you believe - Lewis, whether he knows it or not, is in the process of putting those doubts to rest. The process of quelling my inner intellectual debate with comforting reasoning. The human heart loves logic. Reason. Proof. And I'm not saying that Lewis removes all of the doubts and explains everything away in the perfect redaction of Christianity - he was only a man. That is not how this works; there is still the question of faith, and belief, and putting trust in God despite the risks and confusion and doubt. But with Lewis' words, that faith and belief that I am already growing is firmer. Stronger. More sure. Set aside doctrine and theology, and he brings you to the basics of what Christianity is, at the root. Because if it is not these things, it cannot be Christianity at all. Mere Christianity - nothing more and nothing less than what it, in fact, is. "If individuals live only seventy years, then a state, or a nation, or a civilisation, which may last for a thousand years, is more important than an individual. But if Christianity is true, then the individual is not only more important but incomparably more important, for he is everlasting and the life of a state or a civilisation, compared with his, is only a moment." For more information on Mere Christianity by C.S. Lewis, visit our website here.